The DOX Centre for Contemporary Art in Prague, which will celebrate its 10th anniversary this year, has a new multifunctional space. With its 8 000 m2 of floor area, DOX has thus become one of the largest institutions in the Czech Republic focusing on contemporary art. 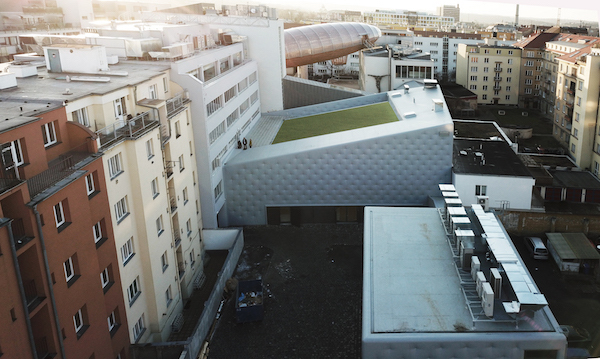 The new DOX+ space was designed by Petr Hájek Architekti and will be used for theatre, dance, music, film, or performance art. During the course of its existence, the DOX Centre has undergone a number of transformations affecting not only its exterior form, but above all its function. The main idea of its founder and director, Leoš Válka, was to create a space where various artistic fields would intersect. This principle also served as a foundation for the gradual architectural development of DOX over the last ten years. The DOX Centre for Contemporary Art first opened its doors to the public in 2008. Architect Ivan Kroupa’s project involving reconstruction of a former Holešovice factory into a multifunctional space was soon nominated for the prestigious Mies van der Rohe Award, and in 2010 the prestigious Phaidon Atlas of World Architecture included it on their list of the most interesting buildings of the decade. Through exhibitions of contemporary international as well as Czech art, DOX began to broach current topics and their discussion. Over time, a number of programme formats and events were added to accompany the exhibitions, ranging from conferences and panel discussions to film projections, interactive workshops, and public happenings. Educational programmes for high school and university students, which primarily emphasize the development of critical thinking, became an important part of this programming. In 2011 another building with two exhibition areas and an auditorium was added, increasing the total programme-related area of DOX to more than 3200 m2. 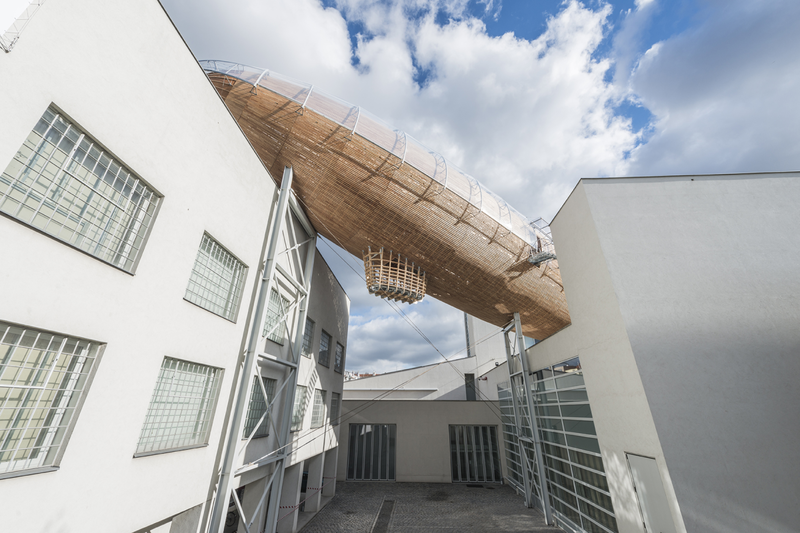 Five years later, in December 2016, a visionary architectural intervention by Leoš Válka and architect Martin Rajniš in the form of the Gulliver Airship provided a home for another of the arts: it regularly hosts events focused on literature. The latest phase in the expansion of the DOX Centre is a building complex by Petr Hájek Architekti. 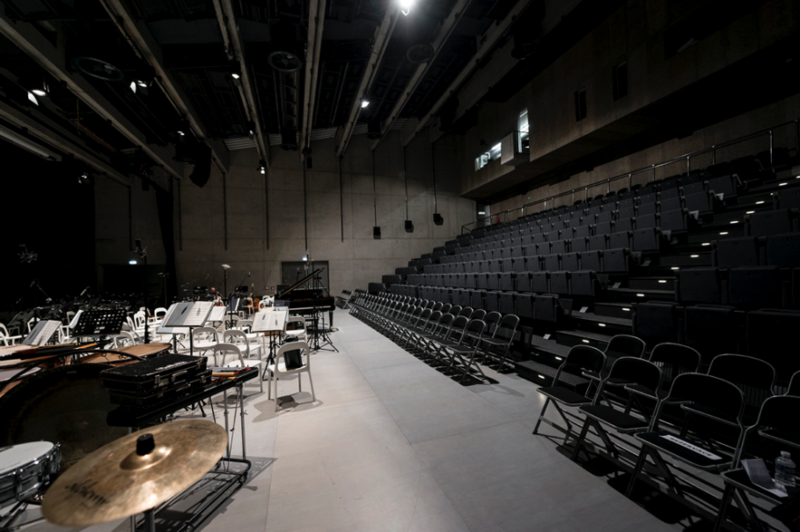 Equipped with leading edge technology, this multifunctional space, called DOX+, has a capacity of 450-700 and is simultaneously a full-scale theatre and dance space, a movie theatre, and a conference hall. Thanks to its excellent acoustics, it is also a first-class concert venue. In conjunction with a separate rehearsal studio, it provides a professional facility for theatrical and dance productions. Starting this year, the Farm in the Cave theatre studio headed by Viliam Dočolomanský will find a permanent home in the new DOX+ space. The architectural and technical parameters of the DOX+ hall open new opportunities for further exploration of multi-genre dramaturgy. Following up on existing DOX programming, the new hall will feature theatrical and dance performances, performance art, film projections, concerts, conferences, etc. This is also why DOX has expanded its existing programming team, which will now include Viliam Dočolomanský for the area of performing arts, the director of the Jihlava Documentary Film Festival, Marek Hovorka, for the area of film, and professor Petr Hájek for the area of architecture. “Our objective is neither to copy existing formats nor to duplicate the direction or programme of local, established institutions focusing on theatre, dance, music, or film, but rather above all to create conditions for the creation of new work. We will focus on artists with a unique and authentic style whose work offers a view of contemporary society,” says Michaela Šilpochová, a member of the programming team and director of communication, regarding planned use of the DOX+ project. The new DOX+ hall with a separate rehearsal studio is complemented by a six-storey building in Poupětova Street, which houses support facilities and three floors of which are occupied by ARCHIP - Architectural Institute in Prague. Aside from the new space, the DOX Centre for Contemporary Art in Prague also has a new visual identity that will accommodate its current functional transformations. The graphic concept, which will be used in all major DOX communication channels including a new website (to be released in September), was created by KesselsKramer international creative communications agency based in Amsterdam, Netherlands. Partners of the DOX Centre: Prague City Hall, Metrostav, The Ministry of Culture, Premiant City Tour s.r.o.